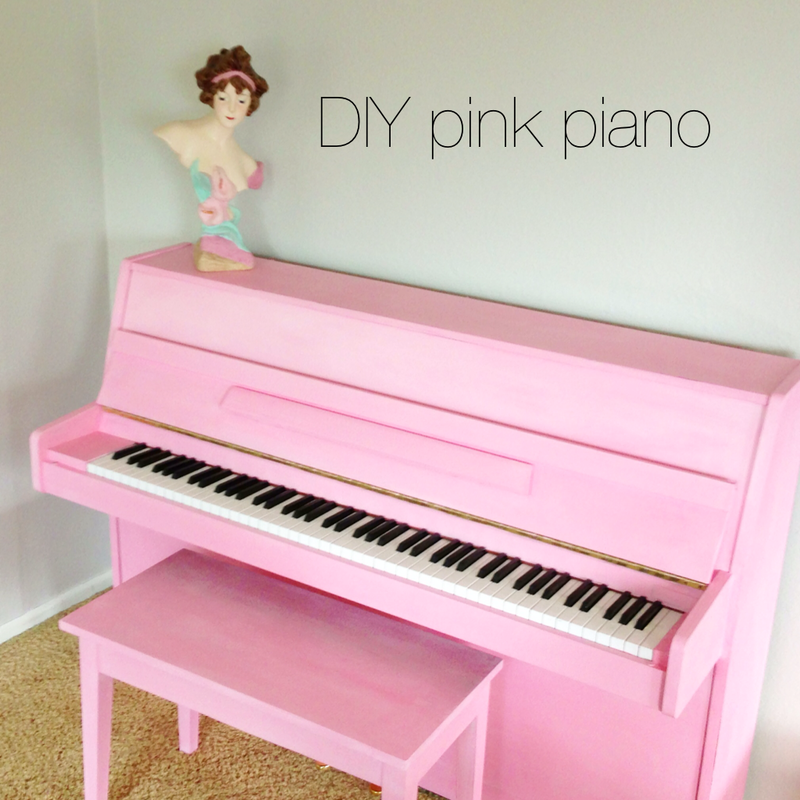 My mom and I took on the daring project of painting my piano pink! I was extremely surprised that my husband was ok with this. I love how it turned out! Mixed white and red paint to get our pink color (we could have bought the pink, but we already had white and red on hand). 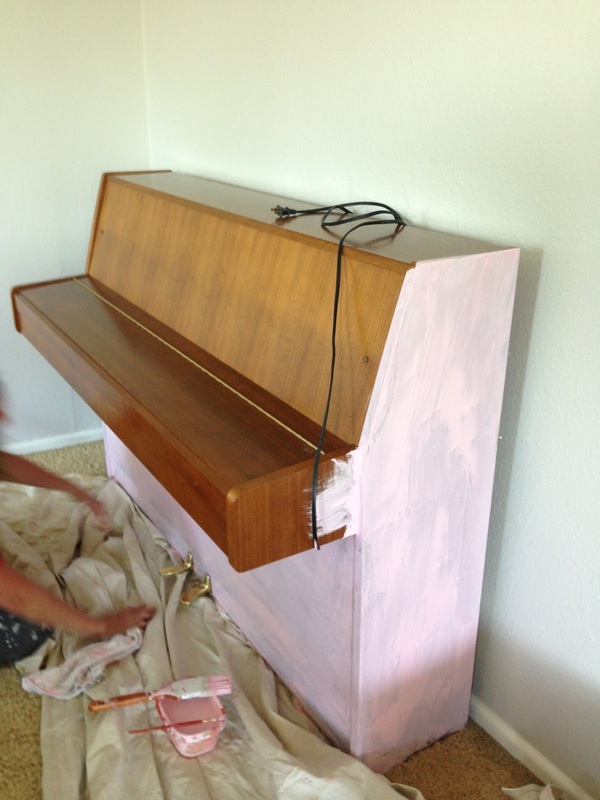 We wiped down the piano with a soapy rag and began painting. The piano took about 3 or 4 coats, but the paint drys super fast, so as soon as we finished 1 coat, we were able to do another. We did not tape the keys or use any tape at all. For the tricky areas, my mom used a tiny brush. We let the piano sit over night and the buffed the wax the next morning. There was some paint that got on the piano keys, but this was easy to scrape off. 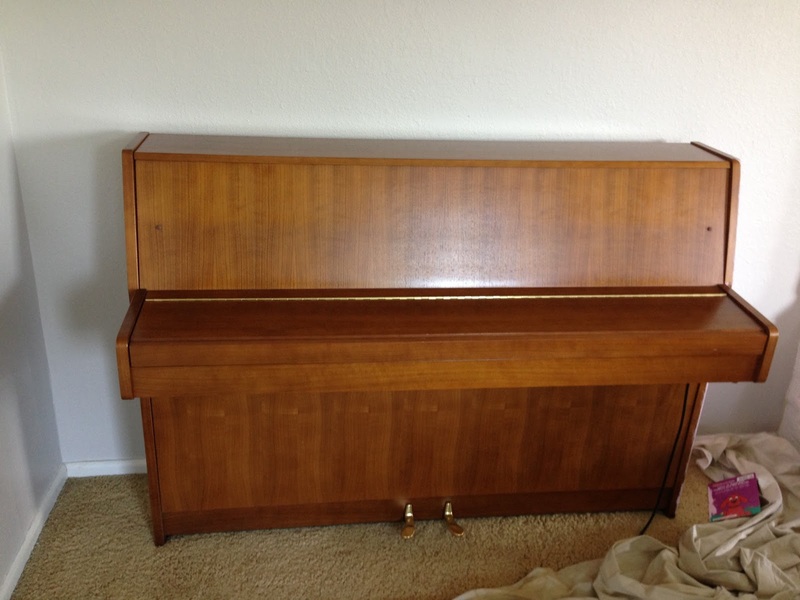 I am so pleased with this piece and can’t wait to put up a fun black/white canvas print over this piano. Thanks again mom for this fun project! DIY Photos into Coloring Pages! I love it! Great job. 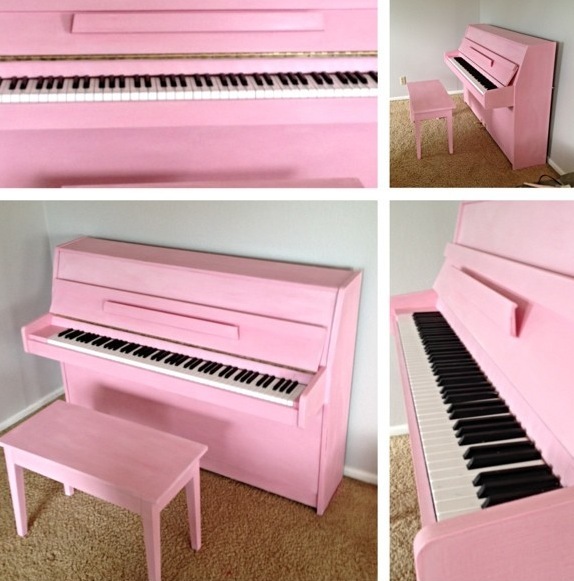 I want a pink piano now. Thank you for sharing this.